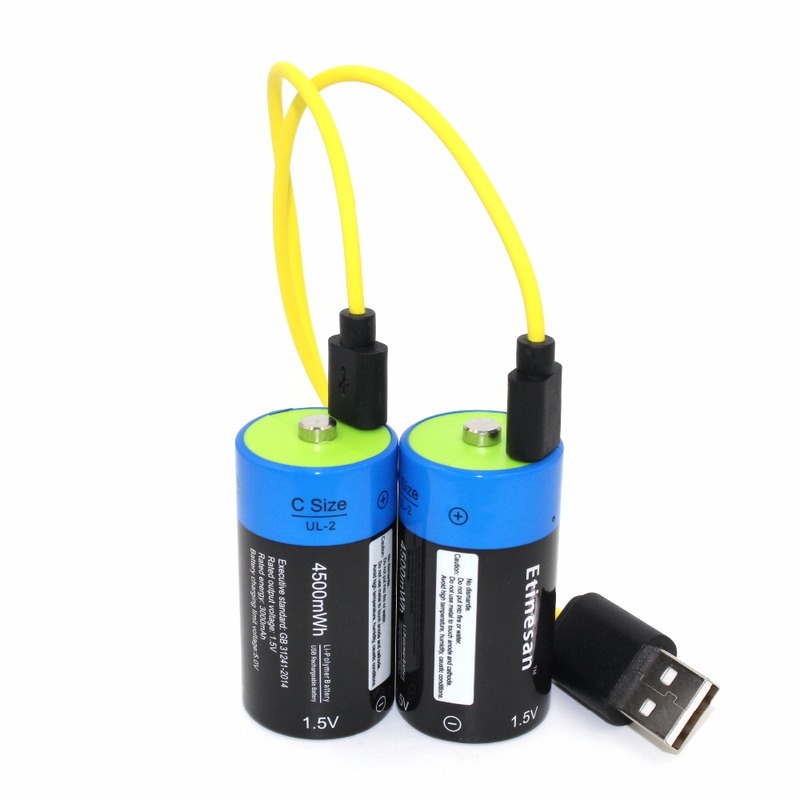 ATTENTION: This Etinesan battery Only can be charged by Micro USB cable.Other charger can not charge,please know that! The LED on the battery will turn off when fully charged! Recyling for many times,life up to 3000 times charging. No memory effect.No need to discharge before charging. 1.5V Constant voltage,let your devices keep going! Do Not Need Special Charger,just a micro usb cable,very convenient! Batteries contain intelligent power management chip,widely applicable to all kinds of USB chargeing. Can be directly use a mobile phone charger,computer,mobile power supply to charge the battery.